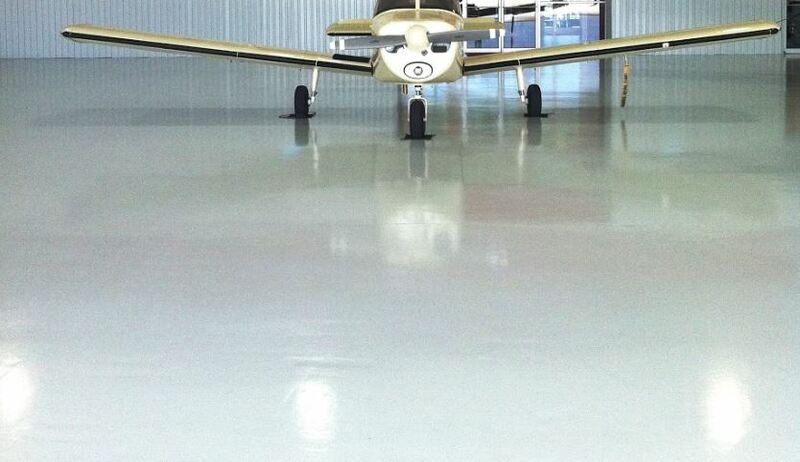 We provide high performance, affordable and durable Epoxy Floors. What else is there to say? 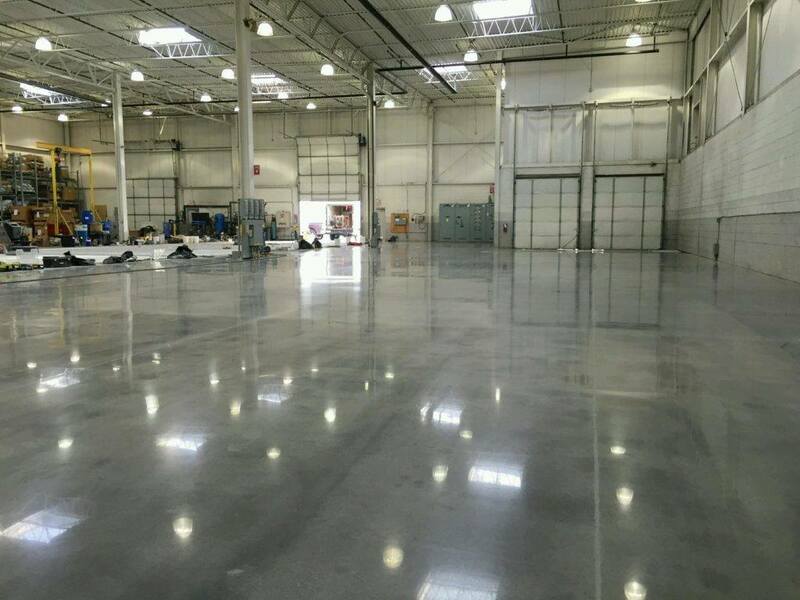 We've been in the Polished Concrete and Epoxy Floor Contracting business for over 15 years. If you need epoxy flakes, durable epoxy floors, custom floor designs, stencils, or a beautiful epoxy garage floor, we're the company you've been looking for. 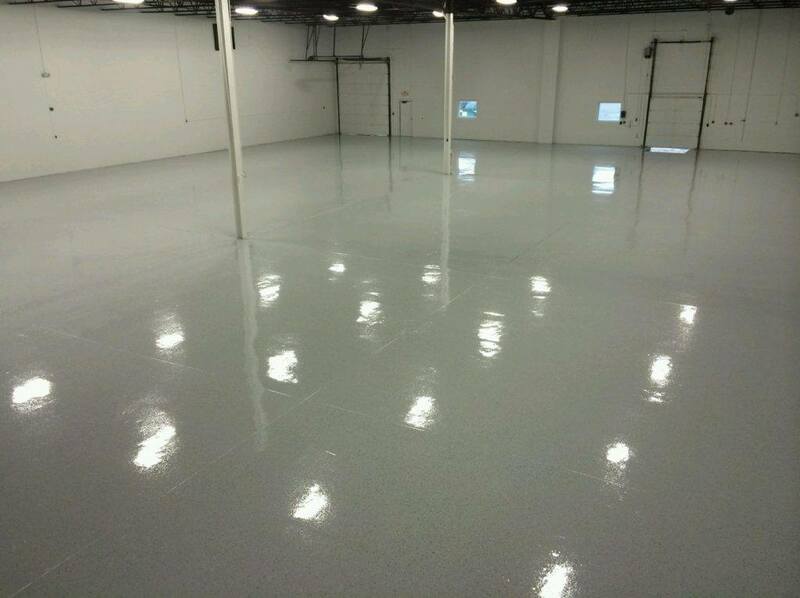 Jacksonville Epoxy Pros is your one and only option for a flooring solution that lasts. 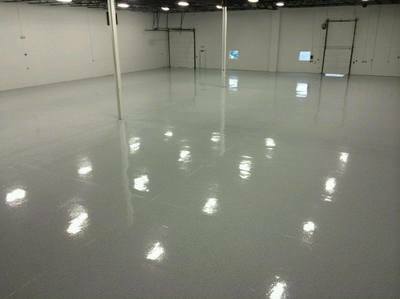 Top Rated Epoxy Flooring Company In Jacksonville! 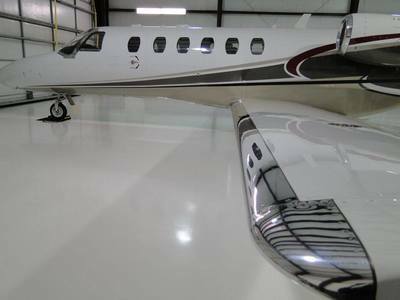 Jacksonville Epoxy Pros are the experts in epoxy, the pros of polished concrete, the kings of coatings. 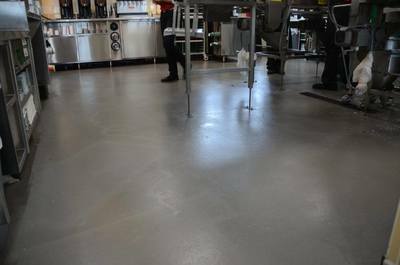 We know how to apply new surfaces to concrete that will totally transform the look of a floor but at the same time we have the expertise required to prepare the sub floor surface so that the new layer will bond permanently and beautifully with it. We take the old and transform it, we bring in the new and make it beautiful. We offer an absolutely unique blend of practicality, durability, and designer looks and we know how to do it with professionalism, on time, and on budget. As our name suggests we are experts in epoxy but in order to really make epoxy work you need an underlying understanding of the layers beneath. 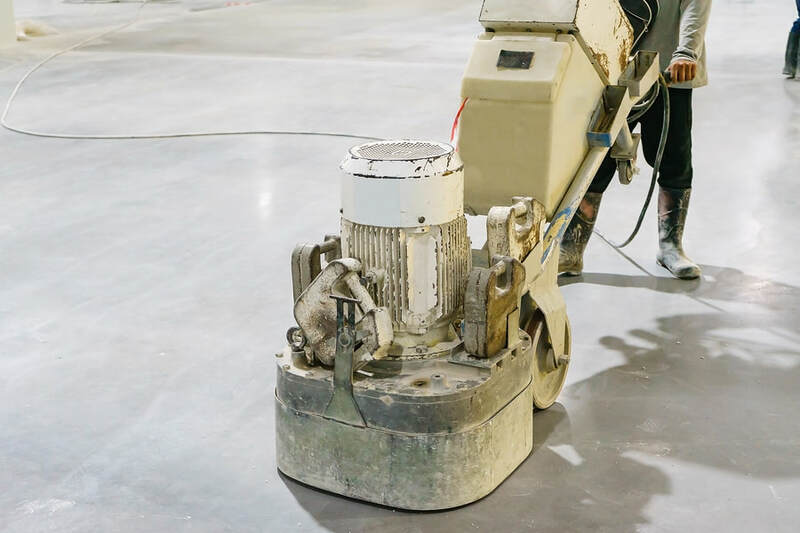 We have that, and because we really do understand working with concrete either to breathe new life into old floors or lay entirely new surfaces we can promise you that our floors are as tough as they are beautiful. We make sure that the concrete slab is in sound condition by doing a scratch and moisture test. Following that we prep the concrete covering any cracks and grinding down the slab so that the epoxy will adhere to the concrete. 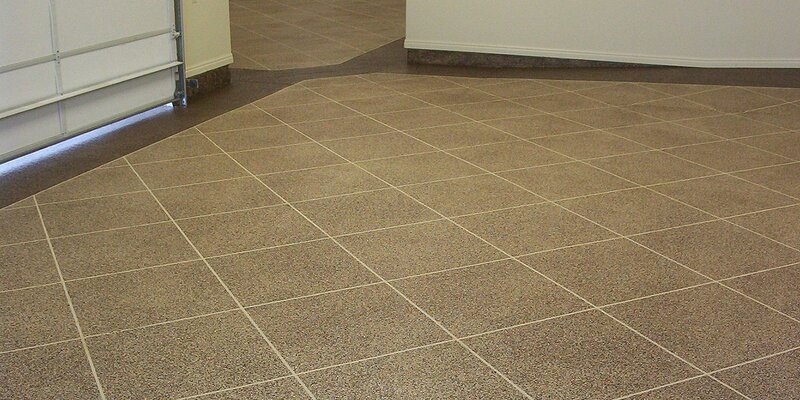 We've done specialist floors for every kind of home, industry, and commercial application so while the following are a selection of our services this is not an exhaustive list. If you don't see exactly what you want here, or you have further questions, then don't hesitate to get in touch with Jacksonville Epoxy Pros about your durable, beautiful, future floor. 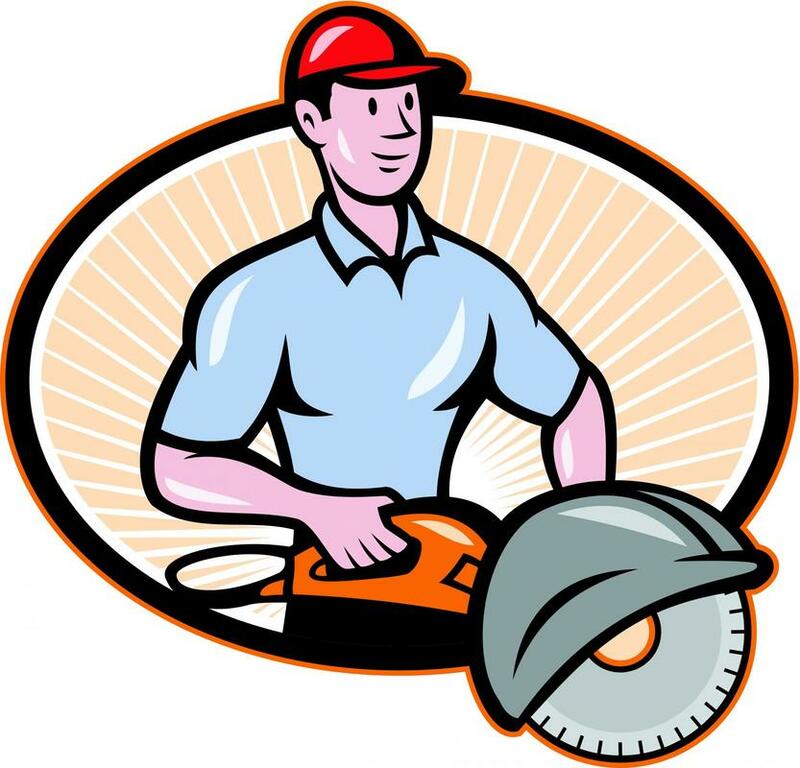 We're the Top Rated Epoxy Garage Company in Jacksonville. 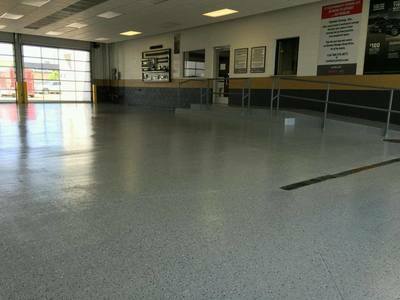 An epoxy garage floor will give any garage that gorgeous auto showroom look. 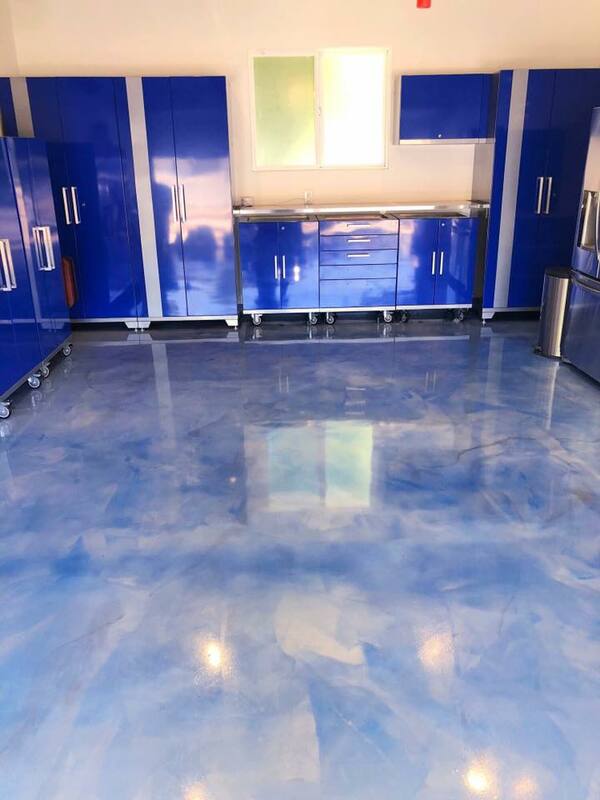 Richly colored and with a perfect, seamless shiny (or skid proof) finish an epoxy garage floor will make your garage a great place to be, adding to the value of your home and finally giving your much loved car(s) and bikes a palace to live in. 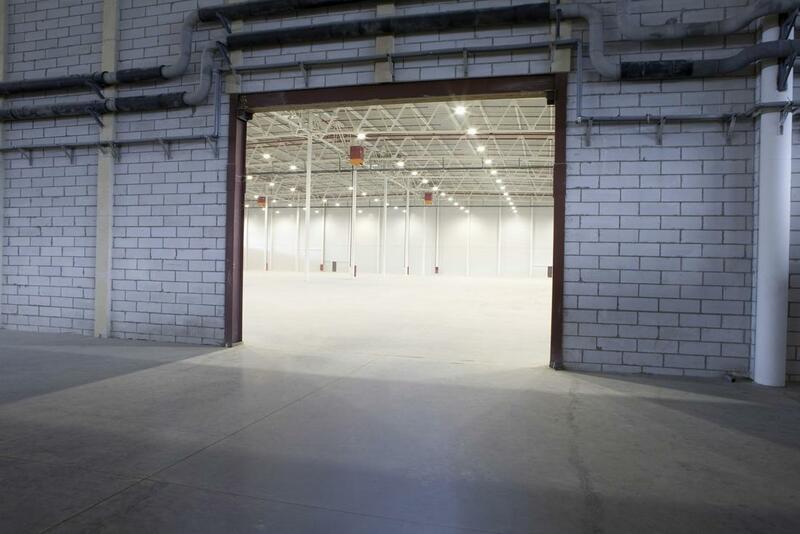 ​Epoxy flooring has a number of fantastic benefits in industrial environments. Incredibly hard wearing it is chemically resistant and allergen free. It won't stain and will make it easy to clean up spills quickly and efficiently. Maintenance is minimal. 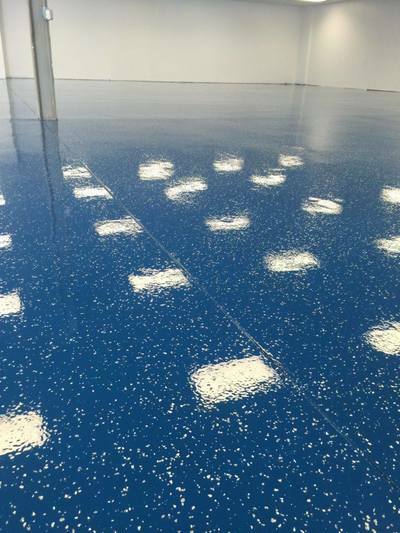 Talk to us at Jacksonville Epoxy Pros about how an epoxy floor can also be colored and marked so that it provides clear walkways, pedestrian crossing, loading zones, hazard zones, or area demarcation. "We knew we wanted to strip away an ugly linoleum floor and were thinking of maybe going for a laminate or wood floor. 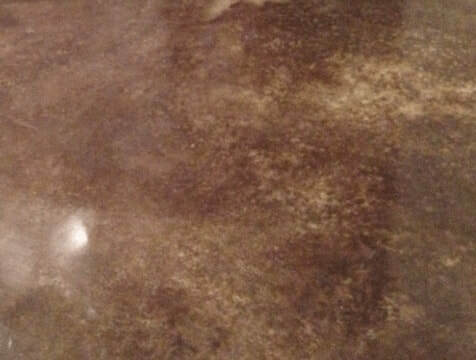 Then Jacksonville Epoxy Pros showed us what they could do by preparing and coating the existing concrete. 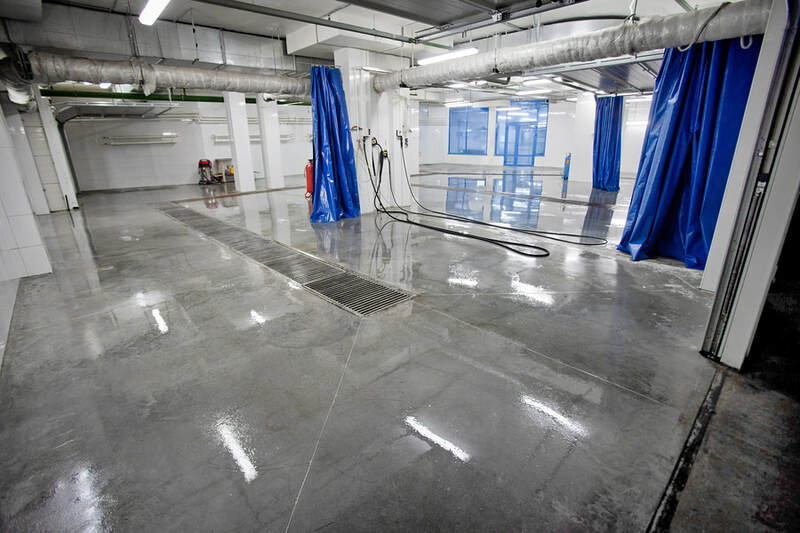 The results are incredible and I'm pretty happy that I'll never have to wax it.” - Bruno K.
Polished concrete can be a thing of beauty – marble smooth, shiny, and easy to keep looking good but getting it right requires proper preparation and that means an in depth understanding of the state of the concrete that's being worked on. Jacksonville Epoxy Pros have that knowledge so trust to the pros. 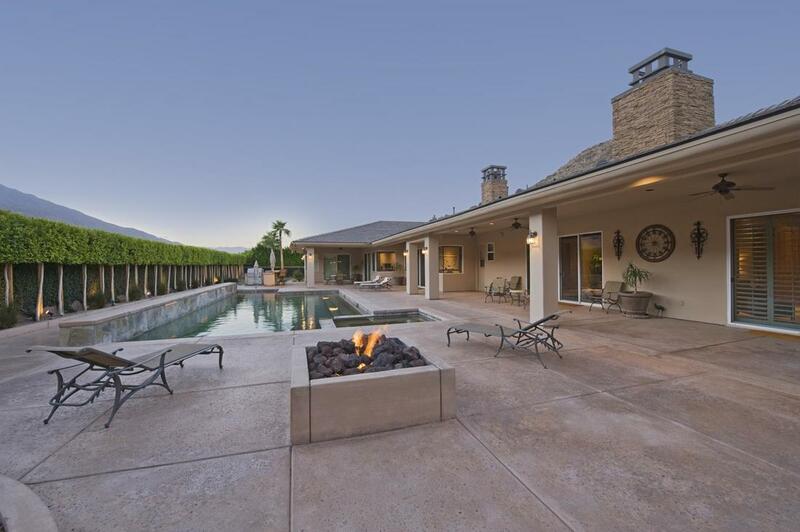 Concrete is the designer's material of choice with so many ways of shaping it, stamping it into textures, or inserting other materials to create different textures and patterns. 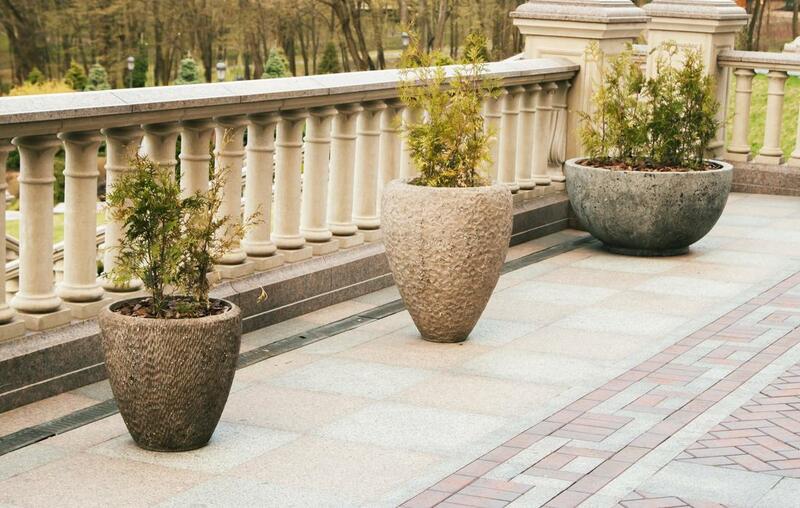 It can be made in different colors or existing concrete can be stained. 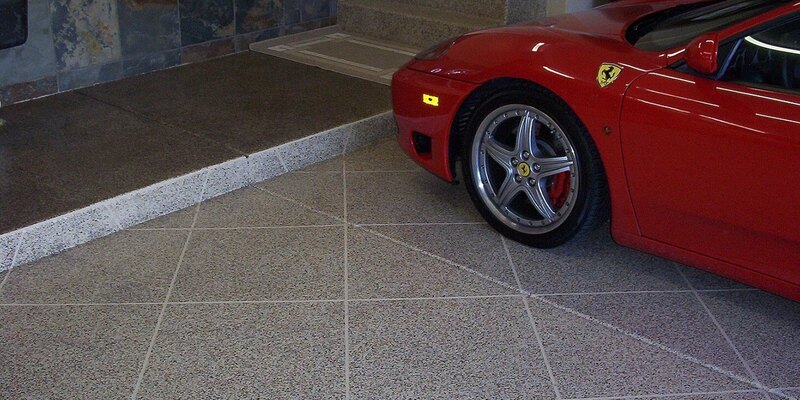 Let us dazzle you with the kind of effects decorative concrete can bring to your home or retail environments. "I love motorcycles. I really do. 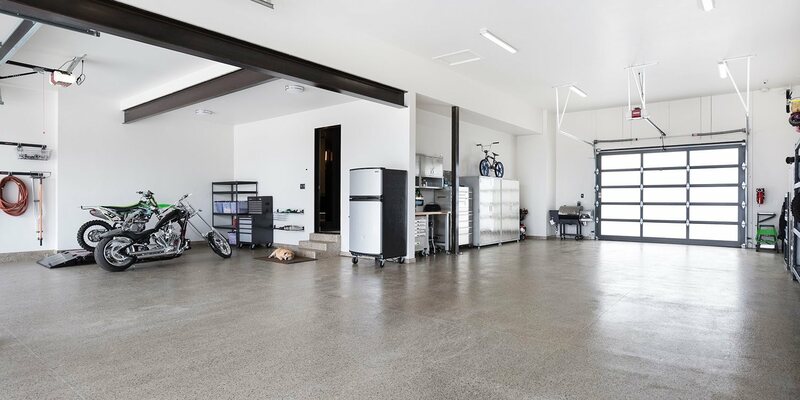 And now with my new epoxy treated floor my garage actually looks like I polish it more than the bikes. Thank you Jacksonville Epoxy Pros.” - David J. 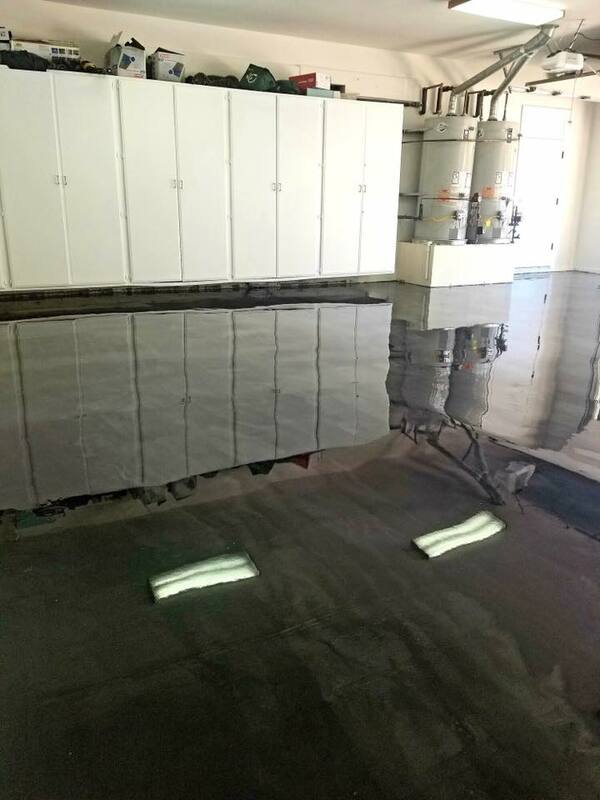 ​There are many different types of overlays or coatings that be applied to concrete, mostly differing in thickness and purpose and ranging from skim coats that aim for a totally new look to self-leveling repair coats that smooth out cracks and uneven areas in floors. Talk to Jacksonville Epoxy Pros about how a new skin can give new life to your existing concrete floors. Jacksonville Epoxy Pros have the experience, the expertise, and the equipment to handle large scale industrial floor projects, cleaning up and drilling down old and degraded concrete floors and then bringing them back to life as perfectly polished, seamless spaces that are better to work with, better to look at, and easier to maintain. Ask us how. "We inherited an underground parking lot for our commercial premises that was untouched since the concrete was laid fifty years ago. It was gray, showing its age, and ugly. Problem was we were in the process of taking the commercial space up market and appealing to a very different clientele. We originally looked at lighting solutions as a simple way to brighten it up but decided they would mostly show the stains better. We talked to Jacksonville Epoxy Pros and they told us the concrete was in better condition than it looked and they could get to work pretty much the next day on preparing it. Now it is a beautiful shiny blue color, it doesn't have marks, it only needs sweeping to clean and it speaks of classiness. 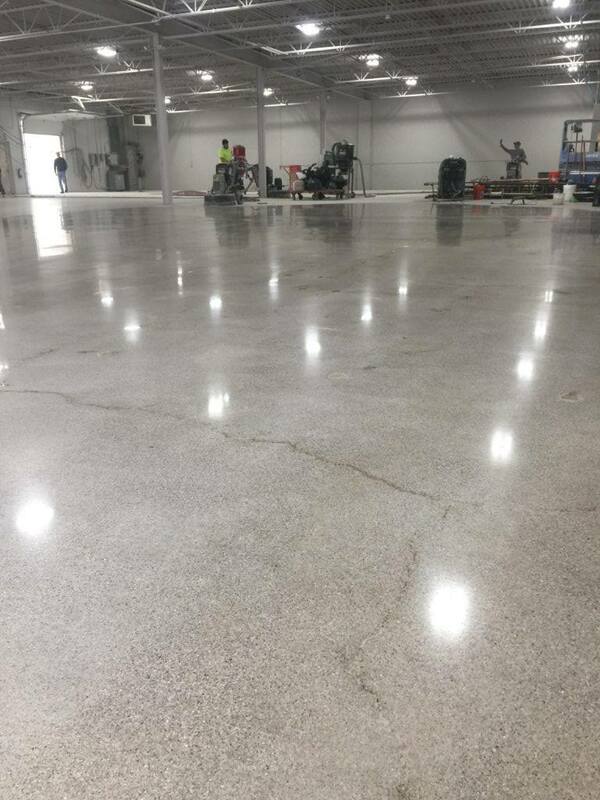 Resurfacing that concrete floor has transformed the entire commercial proposition.” - Alexia T.
There is so much more to remodeling concrete flooring than the average home or industrial property owner imagines but whatever the project the team at Jacksonville Epoxy Pros is up to the job. Talk to us about what we can do for you to totally transform your floors, saving you money, increasing the value of your property (or properties) and making your world a better looking and better functioning place in the process. Call us now, or use the email form on this web site.